One Point Zero > A New World > Global Leadership > The Swiss One Point Zero Referendum; What it means for ‘US’ ? “What was the Swiss, September 2016 Referendum Initiative, aiming to achieve? 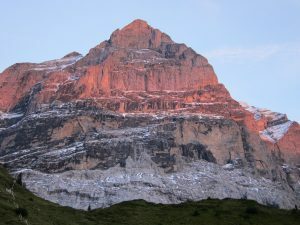 The initiative requires the Confederation, cantons and communes to ensure that the Swiss economy makes efficient use of natural resources from home and abroad and does as little harm as possible to the environment. Industry should use raw materials sparingly and ensure that it creates as little waste as possible. Waste should be recyclable and be used again as raw materials in the economic cycle. Well that Referendum has now been completed and with a 42 % poll turnout, the result was a 64.6% ‘No’ vote. On something like this I imagine all those who feel very strongly on a One Point Zero vision would have taken part in the referendum, so while the overwhelming win for ‘No’ is disappointing, the fact that some 800 000 Swiss people want a One Point Zero Switzerland is very encouraging. One wonders at the demographic of those ‘Yes’ people, and where they fit along the wealth distribution continuum? My sense is that the No vote was swayed towards the wealthy side of the continuum, and the ‘Yes’ vote towards the lower wealth side? 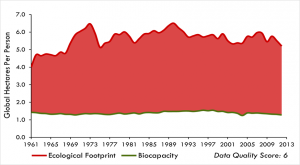 In a choice between prioritising economic and competitive goals versus complying with a ‘Nature restraint’ of the nation living within its ecological capacity (total ecological demand, not just greenhouse gases), the nation has consciously chosen to ignore Nature’s capacity constraint, and continue the over demand on the planets resources. This is the first country that has actually said they are consciously and publicly walking away from a One Point Zero goal, and will consciously ‘Over Demand’. This ethically, black and white, basis for decision making is where the power of the One Point Zero concept lies. The Federal Council (Government) in their Pre-Referendum public statement below, was clearly strongly opposed to the initiative, and so once again we have a conscious decision, and sadly a Pre referendum electorate, influencing one: A recommendation by the top level leadership of the country to not respect the ecological capacity constraint. The interesting thing about all this, is that firstly, it appears that there is unconditional acceptance of the ‘One Point Zero’ concepts. Secondly, there appears total acceptance of the fact that Switzerland would need to reduce its footprint by more than 75% in order to achieve that ‘One Point Zero’ goal. These two acceptances are huge progress in itself, and also shows the huge value of having such a clear metric, and the ecological capacity standard. This should set an example for ‘The Metric’ that should be used in the United Nations IPCC negotiations. Well done to the Global Footprint Network for their metric and the years of research and development that has gone in behind it. One Point Zero is too radical and all too difficult: The leaders, plus the large majority of the electorate of nation which has long been taking from Nature, and is increasingly in deficit, do not see the ethical / moral obligations and the need to change their nation’s goals. Taken in isolation this is devastating for any hope of a world One Point Zero vision. However taken in the context of Switzerland being a small nation in the global context, and the lack of progress at the IPCC / UN Climate talks, one can almost support Switzerland not wanting to be a, ‘lone radical’, purser of the morally and ethically correct standard. Reflecting on my recent visit to the USA, my assessment of the situation is that a similar referendum in the USA today would return a similar if not higher ‘No’ vote of margin. Obama’s deal on the UN table falls way, way short of a One Point Zero USA, and yet were being challenged, as too onerous and not appropriate for the US, in the Federal Supreme Court. As we all know, Trump seems set on turning his back on even those Obama commitments! This is all a disaster for the hopes of One Point Zero, but increasing the intensity of the Moral / Ethical conflict. I guess all of this adds fuel to my opinion that there is a global crisis level, motivation void, for courage in signing up for a One Point Zero vision. That is of grave concern in my hopes for society steeping up to what is so very clearly a Moral, Ethical and Human Spirituality crisis.